LOS ANGELES – With more than 200 digital commerce searches each year, EcommerceRecruiter.com is the leading contingency-based executive search firm serving the Shop.org, Ad:Tech, and IR-500 communities. To opt-in to our popular “Ecommerce Job of the Day” email, click here. HARRY’S COMMENTS: This is one of the coolest ecommerce jobs around! 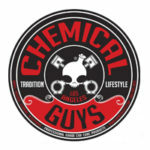 We are working with Chemical Guys in their search for a Digital Marketing Manager based in Metro Los Angeles, CA. This is a super cool search, and we are thrilled to have an exclusive on it. Think of CG as a “Seventh Generation” for car care. CG sells products across dozens of categories, does a VERY brisk business on Amazon and its Facebook page has 274K followers. It also markets to what one might call a “rabid subculture” of car enthusiasts. The company is aligned with 40 independently operated Detail Garage Showrooms on two continents. (Like so). These showrooms are a destination auto detailing supplies, equipment, accessories and training — because a fella shouldn’t just haul off and detail a car. There’s a “right” way and a “wrong” way to detail a car — and there are many ways to mess up a car’s finish. Hence the need for training, a great thing about this business. Plus: Given that the average cost to “detail” a car can run between $20 (for a simple carwash) and $2-5K (for a full-on showroom quality paint correction), there’s plenty of financial incentive for car buffs to do the job themselves. My partner Allan Seibert (who’s managing this search) drives a Dodge Hellcat and details his car every month. Allan’s got 4-figures worth of detailing stuff in his garage. That’s not unheard of. For guys like Allan, detailing his car is an escape. It’s a unique market — similar in some ways to petcare. Demand for detailing services is expected to reach $13 billion by 2023, as rising per capita disposable income will drive consumers’ spending on discretionary services. Meanwhile, environmental awareness of water usage will increase demand for professional car washing because such services use less than one-third of the water used by residential car washing. As CG’s new Digital Marketing Manager, you’ll be responsible for architecting and executing the firm’s digital marketing strategy. To win in this brand new “sole contributor” role, you must be a collaborative, hands-on, self-starter with extensive experience in the Direct-Response Digital Marketing space (Email, Search, Social, Display) — because this ecommerce job’s all about driving qualified traffic, improving CG’s brand awareness, and increasing customer acquisition and retention rates. You’ll manage a very capable agency that’s handling paid search, paid social, and Google display ads. Additionally, you’ll need a relatively strong background in affiliate program management so you can build out CG’s influencer programs. As you can imagine, car detailing nuts love to BUY but hate to be SOLD, so social media is hugely important for Chemical Guys. You’ll find yourself collaborating with CG’s social team to increase customer involvement as you move CG’s existing fans up the loyalty ladder. It’s all about integrating CG’s digital touch points in a way that lowers costs and increases engagement. Understanding attribution is important here: CG uses Salesforce Commerce Cloud, and in short order you’ll find yourself tying together a marketing system that ensures that the company has sound attribution and excellent access to data. We need someone who can plug, play, and make decisions about the business. As you can imagine, this ecommerce job requires extensive knowledge in web analytics and will be responsible for setting up the department’s metrics and reporting processes. Additionally, you’ll be expected to contribute to CG’s customer segmentation and personalization efforts while operating across a range of 3rd party vendor platforms. You won’t believe how much we know about this search! The top five problems that exist due to this position being open. These are the little brush fires you will be expected to put out during your first month on the job. All ecommerce jobs have these — and this one’s no different. Help formulate strategic direction for all digital marketing efforts. Collaborate with the product development, media and creative teams to align marketing plans and execute campaigns. Work cross-functionally to lead and execute digital campaigns supporting new products, store launches, and industry events. Build, develop and grow business relationships across the organization. 4-year degree in Accounting/Business, Finance, Economics or related field. This position requires a strong combination of leadership, technical/analytical and excellent verbal and written communication skills. Thorough knowledge and understanding of all Digital Media channels. Deep knowledge and understanding of search, social and display advertising platforms such as Google Marketing Platform, Facebook Ads, etc. Demonstrated problem solving ability, ability to prioritize and focus on most critical tasks, intellectual curiosity and project management skills. Applications for this ecommerce job are being coordinated by Allan Seibert. To apply, CLICK HERE. Candidates, please be sure to email Allan for additional information that will differentiate you in your candidacy. Due to the intensely competitive nature of this search, thorough preparation for these interviews with this proprietary material is strongly recommended. To apply for this job please visit ecommercejobs.force.com.